Cleaning solutions can be pretty intense. Whether they’re bleach-based or random mixes of unpronounceable chemicals, ones that demolish everything in sight can be a bit sketchy. 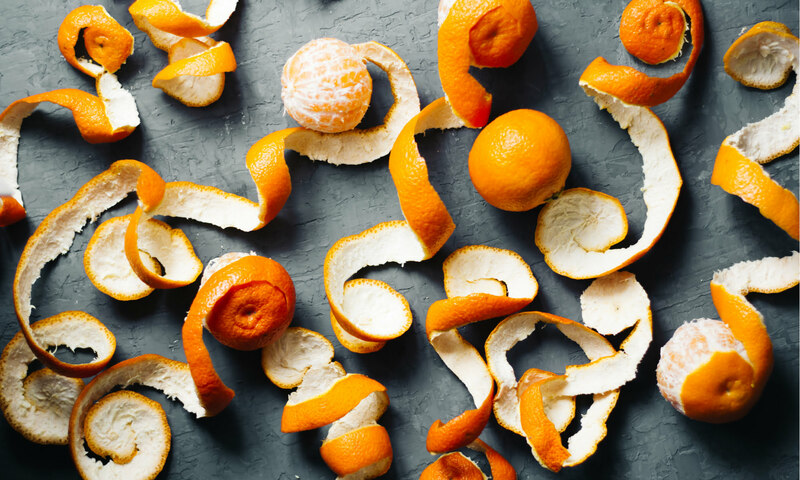 If you’re like me, you’re always looking for new DIY projects – especially natural ones – and recently I heard about a simple 2-ingredient cleaning solution made from vinegar and orange peels. Naturally, I decided to investigate! Vinegar is commonly known for its effective cleaning abilities. Because of its acidity, it’s a superhero at removing some icky buildups: it can remove soap scum, mildew in bathrooms, and that stubborn black residue on gas stoves. It can even remove the holy grail of stains, turmeric. The main deterrent for using white vinegar as a cleaner though is its, well, vinegary smell. This DIY solution makes the vinegar smell a little less vinegary. First, save your peels in the freezer. If you eat a lot of oranges or grapefruits this is perfect! Once you’ve collected enough, put your peels in the mason jar (until they fill half the jar) and then fill the jar with vinegar. Let your peels sit for 3-5 days (up to 2 weeks). The longer you let it sit, the more citrusy it will be. Once it’s ready, strain out the peels and pour the cleaner into a large bowl. Pour the cleaner into a spray bottle. Use as you would any other all-purpose cleaner! Note: it’s safe on most countertops EXCEPT for marble. All marble folk, simply use water and alcohol! Have you ever tried making a DIY cleaning solution? How did it go? Let us know! November 18, 2016 - Cold and flu season is here, but a few simple products can keep your natural defenses strong. Here are some of Blush Lane's Health and Body Care Product Coordinator's recommendations to help out your immune system.